*Editor’s Note* – This article first appeared in the Bethel Citizen. 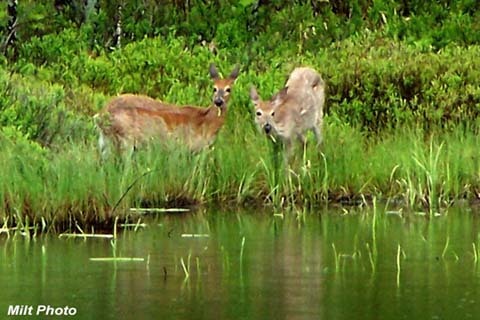 With that in mind, Maine is struggling to sustain a whitetail deer herd in much of the state. Because Nature does not “balance” itself, if we, as citizens, wish to have a healthy population of varied species throughout the state, humans must participate in making that happen. This becomes one of the functions of a fish and game department but is our responsibility as well. To maintain a deer herd at present levels, simple math tells us that we must have an equal number of newborn deer survive to replace those that are killed throughout the year by various means. Sounds simple enough but it’s not. If the total mortality of deer is 40%, then newborn and surviving deer must be 40% in order to maintain current population numbers. Should biologists wish to increase deer populations, they must implement ways of decreasing mortality and/or increasing survival of newborns. The opposite is required to reduce populations. Many people believe that control of a deer population can only be done by how many deer get taken during hunting season. This is not true. Deer die each year in a number of ways: old age, disease, auto collisions, hunting, predators, etc. There often is one factor that goes overlooked – fawn recruitment. Fawn recruitment is a term used to describe when a newborn deer lives throughout their first year of life. Born mostly in June in Maine, if a fawn makes it through their first winter, that is considered one recruited fawn to the deer herd. Recalling the math earlier, if fawn recruitment drops too low and remains that way for too long, it isn’t long before a deer population begins shrinking very fast. If that number gets too low, recovery can become next to impossible. Many believe that fawn recruitment must meet 30% to 40% in order to maintain a present deer population. In parts of Maine, recruitment barely makes 20%. Fawns are a target of many predators such as: black bears, bobcats, coyotes, red fox, Canada lynx, fisher, even domestic dogs. We must also bear in mind that there are recorded events of eagles snatching newborn deer from the field. This predation is a normal and natural event but what happens if any one or all of the above mentioned predator populations becomes too high? Logic tells us that too many predators can kill too many fawns, bringing the recruitment rate below the necessary level to maintain and even sustain a healthy deer herd. The reality of life in the forest and fields is not a pretty picture when it comes to surviving. The idea that nature is in balance brings many to believe that if man just left these animals alone, everything would be fine. That is idealistic thinking. Dr. David Mech, considered the foremost expert on wolves, once also believed that having all the indigenous predators in an ecosystem would “balance” things out. He has since discovered that to not be the case and believes that predators need to be “controlled” in order to achieve the population levels desired by us humans. The next time you read or hear about people wanting to pass laws to prohibit the scientific control of predators, understand that while few want those predators gone, they do need to be kept in check in order to sustain a healthy ecosystem. The Idaho Department of Fish and Game (IDFG) believed themselves to be ahead of the curve by laying out rules and regulations that would govern a wolf hunt should there ever be one. It became clear that IDFG was more interested in seeing how much money they could make selling wolf hunting tags than managing and controlling the large predators so that other game species, i.e. elk, moose and deer, wouldn’t be destroyed from an overgrown and out of control wolf population. They failed! In addition the rules set aside for wolf hunting were so restrictive to the hunter, the odds on harvest success were reduced considerably. Essentially that first hunt provided for a man and gun and a short period of time to tag his harvest; nothing else to assist him. Some argued that erring on the side of caution would be the prudent thing to do out of fear that too many wolves would be killed and the wolf would be put back under federal protections. This showed the real ignorance of game managers who both had no idea of how to control this creature nor did they seem interested in learning how to do it from countries that have had to deal more with savage and disease-ridden wolves than Idaho. 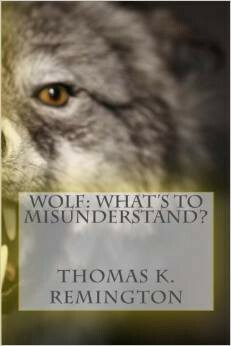 In my January 2009 writing I even took the time and listed out the methods that had been implemented by the Russians to control wolves, as was written down in Will Graves’ outstanding book, “Wolves in Russia: Anxiety Through the Ages.” The list includes 14 items including hunting over bait, organized drives, poison, falconry, hunting hounds, helicopters, airplanes and snowmobiles, and yet Russia could not keep the wolves under control. And Idaho knows better? We are now just over 4 years since that writing and Idaho is just beginning to figure out that maybe the tools they are allowing to control wolves isn’t going to be enough to meet their objectives. And of course the downside of all this “erring on the side of caution” is that in those areas where wolves need thinning, elk, moose and deer populations are suffering. Time is of the essence. With a fish and game department brazen enough to turn it’s back on the Idaho Legislature, it doesn’t take a genius to conclude that there’s nobody at IDFG seriously concerned with a 900-1,000 individual gray wolf population and probably there are no plans to further implement the use of necessary tools to begin cutting into that destructive population. You see, in 2002 the Idaho Legislature approved the wolf management plan and in that plan it stated that the IDFG could not alter or create any other wolf management plan(s) without Legislative approval. The 2008 plan was not approved by the Idaho Legislature. So, when you have the anti fish and game department crafting the plan that calls for 500-700 wolves, the same anti fish and game department will post wolf populations always at 500-700 regardless of what they really are. In 2002 the Idaho Legislature understood this problem. Evidently today they do not. Business as usual as I see it. It appears as though the rules are dictated by the one who holds the ball. I thank God daily that there still exists in this country a few people who think independently; who refuse to blindly accept the “settled” theories, the many studies and the strategic lying of our string-pulled media without questioning. Without these people, surely by now America and the rest of the world would have been devoured by the New World Order lead by a One World Government headed by a dictator. These thinking people are slowing the process and keeping the promoters of the destruction of this country, with the goal of One World Government, somewhat at bay. Recently, I have told many older friends to sit down and make a list of everything they could think of that made America great; the greatest nation on earth where everyone wanted a piece of the American Dream; where none dared rattle our cage or test our resolve. If we were to examine that list, then wouldn’t it make sense that in order to destroy the greatness of a country like America that all one need do is take each item and change or destroy it? Unfortunately, with each passing generation, the list shrinks or is completely rewritten reflecting the changing mindset of the American citizen. But why? Is this change, at least from the perspective of those who can recognize it, a natural phenomenon? In other words, is it in man’s nature, that given to him by God, to willingly work at destroying inalienable, God-given rights and all that made America great? Or are there forces at work, out to destroy, item by item, everything that is on that list of America’s greatness and for what purpose would they do this? 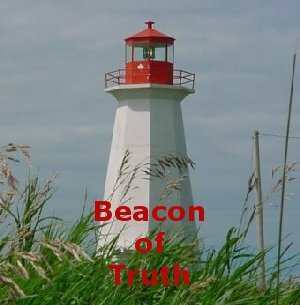 I hope to answer at least some of these questions to give you a better understanding of why a well-proven wildlife management plan, a plan that in my opinion belongs on the list of what made America great, is being systematically destroyed and replaced with new-science outcome based education. In outcome based education, one chooses the desired outcome and manipulates the data, even devising of false data, to achieve such predilection. It’s been about 10 years now that I began to turn my focus of writing and researching to hunting, wildlife, wildlife management, the environment, Endangered Species Act and much of all the politics that go, unfortunately, hand in hand now with everything related to the outdoors. It’s easy to castigate “environmentalism” as the root cause, and one’s effort in that would be rightfully justified, but there has to be more to it. Environmentalism contains innumerable evils, which to the trained eye can be recognizable, but who or what is behind environmentalism and is it the same force that is changing the mindset of our young students through education? Over the years of writing and researching on these topics, it became very clear to me that people just didn’t think (and I use that term very loosely) the same way as previous generations. I wondered how long this had been going on, but more importantly, why. If I may take a moment to step back to a time in American history when settlers and appointees of governments and commercial establishments took from the resources of wild game until one day it was realized that all taking and no giving was not sustainable – meaning without some kind of restrictions and efforts on the part of man to conserve the resources, there soon would be none. While not a perfect solution, over time, coupled with a desire of many to sustain viable wildlife species, the North American Model of Wildlife Conservation was crafted. It wasn’t long before the implementation of this working model restored game species as well as gave the outdoor sportsmen the opportunities for surplus harvests, without depleting the resource. This Model became the envy of the civilized world. So then, why are we moving away from it and replacing it with contrary, faux science, driven by outcome based strategies that are not working and have led to sizable reductions in game herds and overwhelming increases in large predators; a direct competitor of the hunter/trapper? To go along with the mentality that exists in wildlife management, that nature is self regulating, there exists a hatred toward man. Man is always perceived as the culprit, the one to point a finger at as the destroyer of wildlife. There is an incessant drum beat of: “the animals were here first”, that “there are just too many people” and that “man is encroaching on everything to do with wildlife” and ruining it; while seldom providing the proper documentation to support such claims. It’s easy to look at places like Westchester County, New York, a suburb of New York City, where on a recent trip along the Saw Mill River Parkway heading for the Tappan Zee Bridge, I witnessed more deer grazing along the highway and in people’s back yards than I saw for an entire week of hunting deer in the deep Maine woods. I suppose it may be related to the person who calls a glass of water half empty rather than half full, but others see this occurrence and somehow see it as man’s fault. The poor deer/dear! If it is man’s fault for doing too good a job devising ways to protect and conserve deer and other wildlife, then I guess the shoe fits and must be worn. However, these same man haters fail to comprehend history of how things were in America before it was America. Many have swallowed the pill and believe what they have been told that in pre-Columbian days the forests, hills and plains of this vast and beautiful country were teeming with wildlife everywhere. While there existed areas of abundant wildlife, it is fact that much of our wildlife in this country never inhabited vast areas until man settled and unknowingly or unintentionally created large expanses of wildlife habitat by growing lush crops, lawns, flower beds, working forests, etc. The result now being perhaps the largest populations of most wildlife at any given time in history in this nation. So, is the problem, if there is one, that man is ruining everything for our wildlife? Or, is there a problem that man has done too good of a job? Consider a recent article found in the Wall Street Journal, written by Jim Sterba. Sterba says that we have done such a remarkable job of conserving wildlife that in many areas there are too many and that presents a host of problems, some of which are very expensive. It is not my intent to get off on side discussions about wildlife management. It is my intent to point out what I perceive as obvious and I’m sure non existent for others; that our scientists graduating from our education factories are leaving with information that, when applied, appears to be more geared at destroying our wildlife, while ripping man to shreds, rather than improving on a pretty darn good, man-made, wildlife conservation model for management. Why? Who is teaching these students such things and why? Does it begin once they reach college or are our students being “prepared” to enter the science world long before college graduation day. Part II will take a closer look. For what it’s worth, over the years residents of Maine have been told that the reasons there is such a poor deer herd in many parts of the state are because (and in no particular order): Severe winters, loss of habitat, destruction and loss of deer wintering areas, poaching and perhaps an occasional depredation (said with tongue nicely inserted into depth of right cheek) by a bear, coyote/wolf, bobcat, lynx and/or mountain lion. Never, in my recollection, has anyone suggested cutting down more trees to increase the number of deer…..directly. I should, however, point out that there is legitimate debate as to whether proper logging practices – proper in the sense of better wildlife management – would provide better feed. I don’t believe that lack of feed is a problem. At this point spending time and effort to provide more feed for deer would be akin to me setting up feed stations all across Maine to feed the elusive down-hill-side-badger. Well, not really but…..well, really? I think if the argument was that Maine has a sufficient population of deer but lack of feed, then perhaps cutting more trees would be in order. But that isn’t the problem. The problem is there aren’t any deer to begin with. We must address that problem first, and we are not in any serious way. And on a related note, it has been brought to our attention nearly one year ago, that those hundreds of thousands of acres of forests, clear cut because of the spruce budworm, will be mature within the next 15 years. Then what? I’ve reported previously that Maine has a bear problem and part of that problem is being exemplified in the presence of the beasts showing up in people’s back yards at a rate far exceeding last year’s. The reasons given and appearing in the regular press I don’t think addresses at all part of the problem, i.e. that there are just too many black bears in Maine. In yesterday’s Bangor Daily News, Nick Sambides, Jr. reported that bears were frequenting neighborhoods in the Millinocket region and in particular downtown. What should be confusing, as well as dishonest, to the people is what is being relayed to the people as to why there are more bear encounters. So, which is it? Is there plenty of food for bears in the woods, or are there no berries or other food to satisfy the creatures? Perhaps there’s all there usually is to satisfy a bear except there are just too many bears competing for a limited amount of food leaving some hungrier than normal. Perhaps it’s time to revisit the idea of an increased bear hunt and get the numbers back to reasonable levels. *Editor’s Comment* On May 18, 2012, in the Bozeman Daily Chronicle, newspaper staff crafted an editorial in which they basically said that unless you are a paid professional wolf expert, people should mind their own business and stay out of concerns over control and management of the wild canines. Retired U.S. Fish and Wildlife biologist, Jim Beers, rebuts that editorial and is found below. The following editorial from an urban Montana paper nicely encapsulates the arrogance of power being enjoyed by those that revel in subjugating others to their will, no matter the harm they create. The distortions it fosters are criminal and indicate that reason and appeals to civil discourse or to Constitutional guidance to such (per Lenin) useful idiots are as futile as explaining why increasing government debt is a similar recipe for disaster to a third generation welfare recipient. Then, when “the national stomach” wants authority over all Montana “waters”, Montanans should go into their homes and listen to the radio about what they are to be allowed to do henceforth? When the UN (the “international stomach”) says Montanans should not possess guns, Montanans and other Americans should quietly turn in their guns and carry cellphones with 911 on quick dial (does FWP respond to 911?). Then, when the state “stomach” leaves the state and crawls into the sack with the “national stomach” and “international stomachs” we should all plan a “shower” for any issue therefrom? Local communities bear the brunt of the wolf debacle. Local citizens are being harmed and in the absence of either protection from their state government or federal acknowledgement of their #1, Constitutional charge, i.e. “insure domestic Tranquility” and “promote the general Welfare”: then by God Local citizens working with their Local government will return “domestic Tranquility” and general Welfare” to THEIR Local community. Let the “national stomach” take a gelusil or ex lax. 2. So, “State game managers are the most knowledgeable and best positioned to manage the wolves effectively.” Really? The presence, distribution, and “management” of wolves, or any other high-impact wild animal is first and foremost a decision to be made and supported by those citizens and communities AFFECTED by such decisions. “State game managers” are charged to advise and implement the parameters of Local decisions from elimination of wolves to densities not seen since Russians were denied weapons by their dictators or Czars (and everything in between. Saying that “State game managers” should make such decisions is putting the cart before the horse. G.K. Chesterton said it best 103 years ago, “Science must not impose any philosophy, any more than the telephone man must tell us what to say”. Are we “free” men or slaves? Listen politely? Who works for whom? Whoever believes such pernicious tripe would clearly be more comfortable in Stalin’s Russia where slaves (to the state) listened “politely” or were shipped off to a Gulag or worse. It has honestly gotten to the point where any opposition to federal or state wolf impositions begets not only law enforcement threats from those that ostensibly “protect” us but this sort of dripping disdain from arrogant elites. Let’s see; state and federal “wildlife managers” release wolves despite overwhelming opposition from those on whom the wolves were imposed. Then the feds do a double arabesque and pirouette off the stage and the state “managers” oversee “increasing” wolf numbers (i.e. elk/moose disappearance, livestock losses, dog losses, stress and fear of rural residents as wolves habituate all around, etc.) and those rural bumpkins are told to buck-up, keep your kids inside, eat more vegetables, and take government job training for the next available job in LA or Chicago. My advice to those chirping this line is “stuff it”. Earth to elites: neither the state nor federal government should be spending billions ad infinitum THAT WE DON”T HAVE on such harmful and senseless twaddle. Additionally, wolves NEVER HAVE and NEVER WILL be harmlessly blended into settled landscapes as found in the Lower 48 states. They ADAPT; they HABITUATE; they DEPLETE GAME ANIMALS; they KILL LIVESTOCK; they KILL DOGS; they SPREAD DISEASE; and last but certainly not least THEY KILL AND THEY ATTACK CHILDREN, WOMEN, THE AGED, and even MEN RUNNING A CHAINSAW! Read Wild Graves excellent book WOLVES IN RUSSIA. “Good News” my patoot! “In time”? Tell that to Russians, Kazaks, Siberians, Alaskans, and others where humans are killed and maimed annually, livestock husbandry is a matter of small flocks tended 24/7 by women and kids, game hunting is a matter of dreams (not reality), and dogs are not allowed in homes (much less “kissed” and slept with) because of the diseases they contract from wolves FOR THOUSANDS OF YEARS!. Patience, like Dirty Harry’s boss’s breath mints “ain’t cutting it”. What it will take is local wrath expressed Constitutionally by Local governments in the teeth of rogue government bureaucracies and their elite enablers like the editor of this paper. Two final newspaper quotes from G.K. Chesterton 100 years ago in London shows us that such media distortions as this wolf propaganda piece are nothing new. If the Maine Department of Inland Fisheries and Wildlife(MDIFW) is always so quick to jump on the bandwagon of severe winters as an excuse why there are no deer left in most portions of Maine’s landscape, then it would only stand to reason to jump ship and onto the bandwagon heading in the other direction when there is a mild winter. If all things are relative and one severe winter destroys a deer herd, then is it rational to conclude that one mild winter restores one? 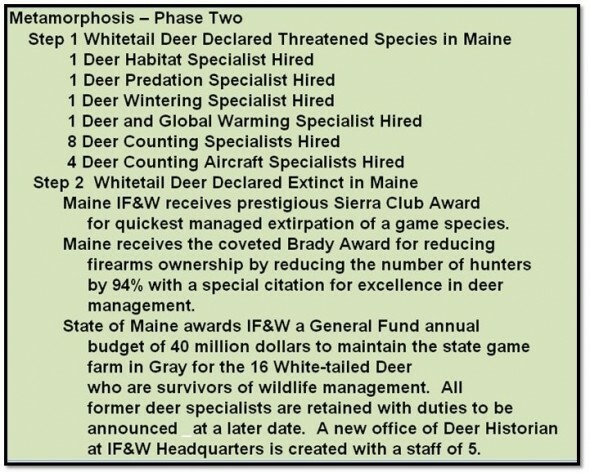 If there has been any reprieve in continued destruction of Maine’s whitetail deer population, it comes more from what the MDIFW didn’t have their fingers in than what they did. A mild winter throughout the state probably did more to halt the death spiral of deer than anything MDIFW did or could have done. What MDIFW did do was kill 119 coyotes. Earlier, I published the summary of their efforts. 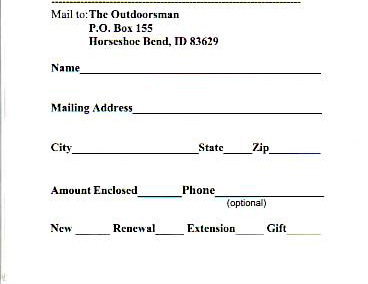 In short, MDIFW appropriated $50,000 for coyote killing. They spent $15,156, concentrating on 9 Deer Wintering Areas(DWA) and killed 119 coyote/wolf hybrids. 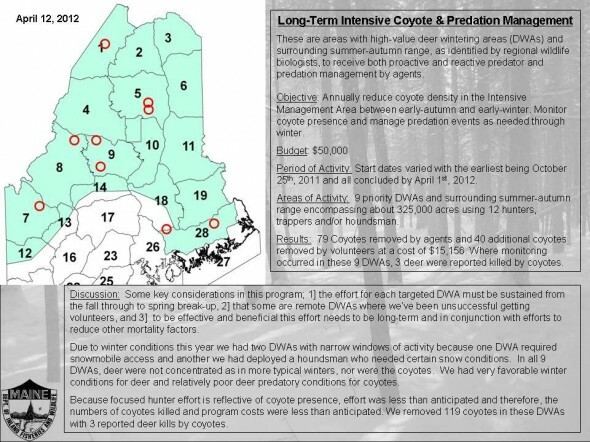 Of note: 79 coyotes were killed by paid agents of the MDIFW and 40 were taken by volunteers. However, I will withhold judgement on any successes or failures in this effort as the mild winter did not provide the best opportunity to find coyotes in DWAs. And, we may never get to see if any long term, concentrated effort to kill coyotes will be effective if there is no money appropriated next year or the years after that. For Maine’s license buyers, those 79 coyotes killed by paid agents, cost $191.85 per coyote. A mild winter cost nothing. One mild winter will not cause a restoration of a severely depleted deer herd, but it may be the only hope we have. Sane sportsmen understand that real science forecasting calls for earth to be heading into at least a ten-year cooling. For those wildlife managers betting on global warming to cure their deer management problems, I wouldn’t bet the farm on it.